This was my first time attending the Shingo Prize 2011 International Conference and I have to say that it was an outstanding experience from the speakers, to the sessions, seeing old friends, and the networking opportunities. I’ll hit some of the highlights. 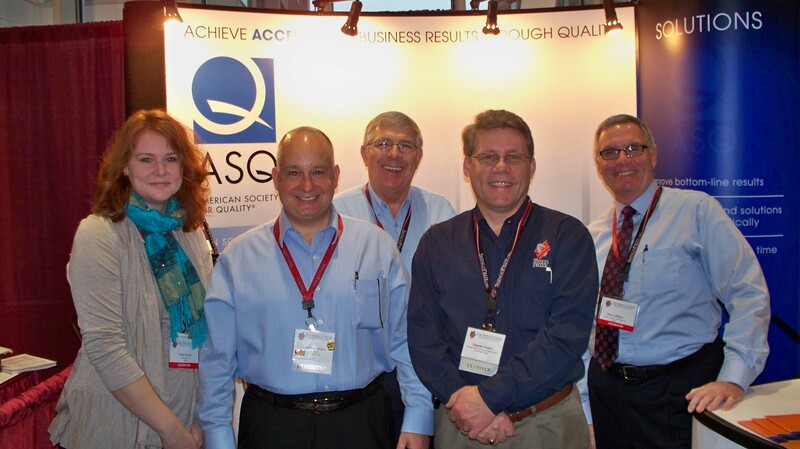 The main reason that I was at the conference was to be a representative for the Lean Certification Oversight and Appeals Committee for the American Society for Quality (http://www.asq.org/). Four of the world’s premier professional organizations have teamed up to bring the “gold standard” of Lean certifications – SME, AME, Shingo Prize and ASQ. 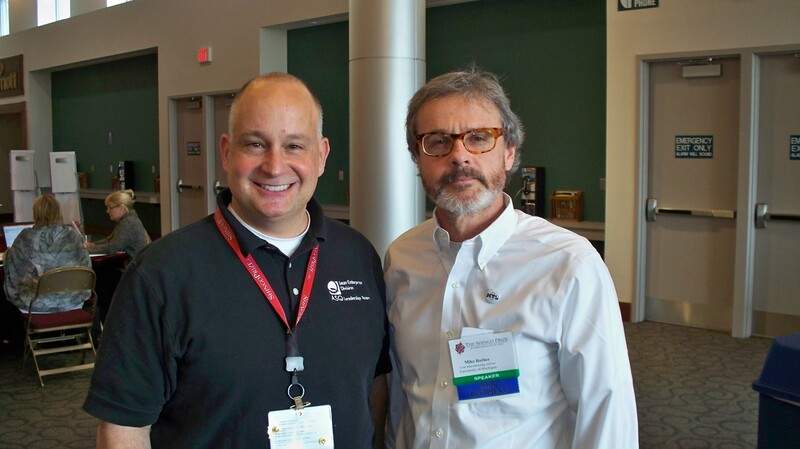 Peter LaBonte from ASQ headquarters and I talked with many people about certifications and the benefits of ASQ. It was great to see such interest in the Lean Certification. 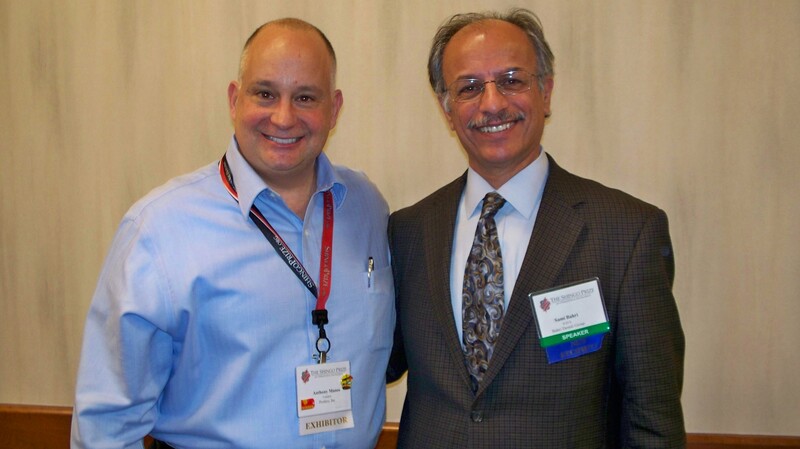 Dr Sami Bahri the "Lean Dentist"
The first session I attended was with Dr. Sami Bahri or you may know him as the Lean Dentist and author of “Follow the Learner” which just won the Shingo Research and Professional Publication Award. What I really appreciated from his talk is that he mentioned that it took him 13 years on his Lean journey to get to where he is today. Now that is real commitment and understanding that Lean is never over. A highlight for me was to hear Zenji Kosaka speak (well, actually he spoke in Japanese and had an interpreter). He held managerial positions at Toyota Motor Corporation and was trained by Taichi Ohno and Shigeo Shingo. He talked about the rich history of Toyota which many of us have already heard or read, but what I liked about his presentation is that he kept bringing us back to the core, most fundamental concepts of the Toyota Production System. Many times we focus on what’s next or what’s new. Mr. Kosaka reminded me that we need to focus on getting the fundamentals right. 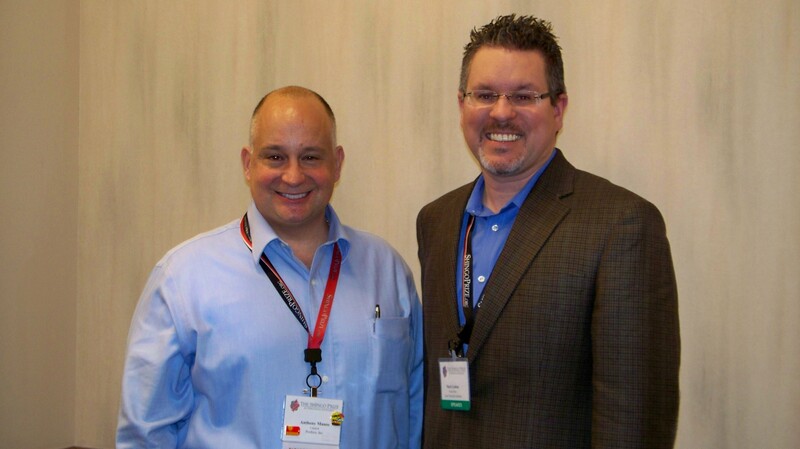 One of my favorite sessions was Mark Graban’s “Warning: Signs!” Mark is the author of “Lean Hospitals” and writes the Lean Blog. He had so many funny examples of real signs that people put up in order to try to control behavior. He broke signs into three categories: 1) signs that tell us to be careful, 2) signs that cover-up process problems and 3) signs that communicate process changes. You can tell people were really trying to solve problems; it’s just that the sign doesn’t necessarily help us get to the root cause. To cap the conference off I saw Mike Rother’s presentation on Toyota Kata based on the book with the same name. This presentation went into the story between the lines. His research into Toyota and human behavior really starts to spell out that when companies implement the tools of Lean, they are missing most of the benefit. How do we continuously improve so that it becomes a habit and part of our culture? Focus on the “kata” or approach. He talked about how our human brains are wired and how we create patterns of thinking and acting. This will help everyone move from the tools to the soul of Lean. While I had time and my battery was strong enough, I took a minute or two to tweet some comments during the sessions I attended (http://twitter.com/5Ssupply). If you want to search twitter use hash tag #shingo11. There are so many other people I’d like to mention, maybe I can save that for another post. 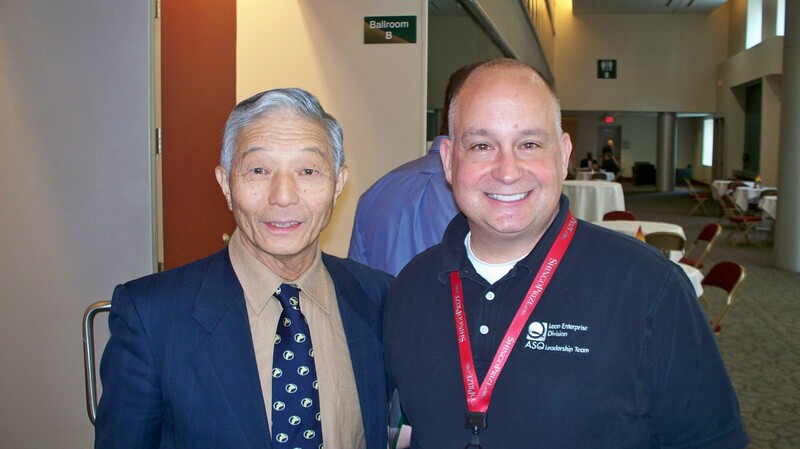 If you haven’t attended a Shingo Prize Conference in the past, I would highly recommend that you put it on your list. 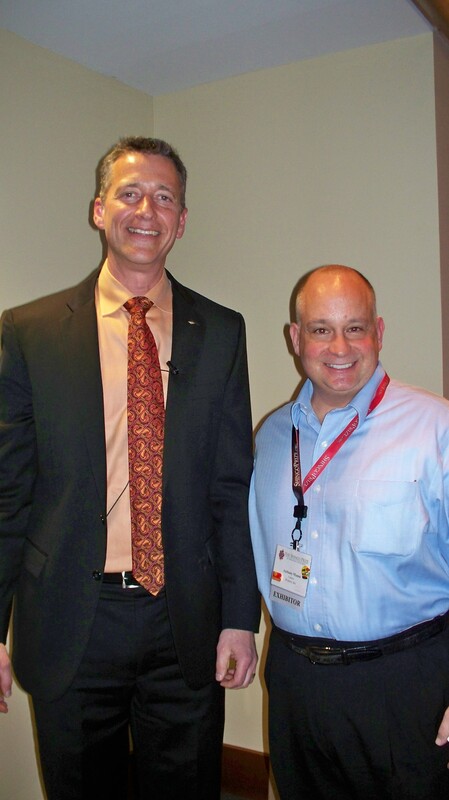 Tony – thanks for the comments about my talk. I’m glad we could finally meet in person at the Shingo Prize Conference. It’s always a fantastic event!